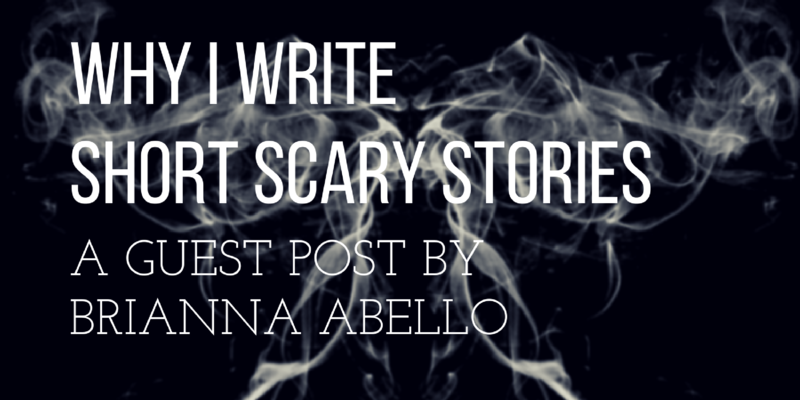 This is a guest post by Brianna Abello. The beauty of a well-written short story is that it can quickly send your mind wandering to different places in your imagination without needing an extra 10,000 words. To me, the art of writing flash fiction or sharing a short story is that you only have a short amount of time to lure your reader in; in this case, every word, every sentence, has to be chosen wisely. As a short story writer, I want the reader to be invested in the story within the first few sentences, which can be a challenge. I have read wonderful short stories in which the writer has either chosen to dedicate as much time on the endings as they have for the entire story or moved too quickly. The kind of endings I always look forward to are the ones that allow your mind to build onto the story long after you have finished it. Leaving an ending open to more than one interpretation allows the reader to speculate and think about the story afterward. One of the reasons I think I enjoy open-ended endings so much is because to me it is sometimes a reflection of much of the creepy or real things we see in life. For example, a crime story might leave a reader wondering if the killer might come back. Ambiguous story endings in my opinion also give the writer an option to return to the story and continue it with an entirely different plot. As a reader, I like to daydream long after I have finished a good story. I like to dream up my own ending or continue the story but with a slightly different twist. Although some stories do better with a more realistic ending, I noticed that as a person who is usually stuck in her own mind dreaming away I prefer to get lost in a story and forget about reality for a few hours. When it comes to romantic stories I am however a sucker for happy endings. I think it truly depends on the genre of the story and the author’s style of writing. When it comes to my own writing I’ve noticed that readers tend to lean towards either an ambiguous ending or bittersweet endings in which the main conflict has been resolved. As a writer, I like to explore different endings, I’ve tried to write clear happy endings but the horror fan in me always cheers for the monster to make a comeback. As a horror author, I enjoy leaving my readers with the thrill of not knowing whether the demon in a story might return or perhaps the sense of dread that the creature lurking in the forest at night might not be dead after all. Perhaps in the future, my preference for ambiguous endings will change. Until then, I’ll still cozy up on a comfy chair and get lost in thought after I’ve finished the last sentence to an ending that will get my imagination going.